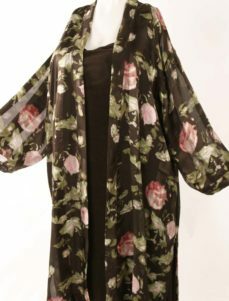 Plus Size Mother of Bride Daisy Jacket Japan Plum Gold: Aubergine and dark gold rayon satin combine with Japanese kimono panels to create a Daisy Jacket evocative of Japanese screens. 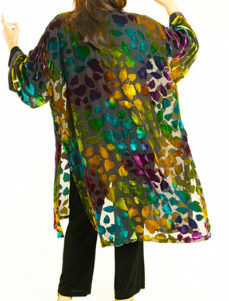 This one-of-a-kind piece is our size Medium (22/24) see garment measurements below. Consult with us for all questions and assistance in creating your ensemble. Be the first to review “Special Occasion Jacket Ivory Plum Gold Japanese Print 22/24” Click here to cancel reply.